Every day, for each product we develop, our goal is always the same: to create safe and effective products. 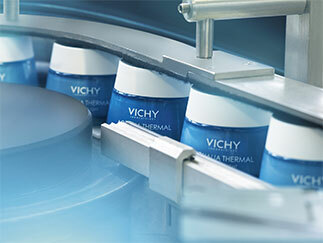 To achieve this goal, our formulation process is guided by 7 choices that make each Vichy product so unique. Formulate around Vichy Mineralizing Water. Natural. Pure. Active. Produce all our skincare formulas in France, in the preserved volcanic region of Auvergne. Prioritize natural actives used in dermatology. Select 100% hypoallergenic ingredients and operate 0 tolerance policy on allergies. Proven efficacy on sensitive skin. Innovate on sensoriality to promote wellbeing. >Combine the expertise & passion of dedicated experts. Formulate around Vichy Mineralzing Water Nature. Pure. Active. Our biggest challenge every day is to incorporate our unique and precious water into our products. Vichy Mineralizing Thermal Water, born in the French volcanic region, is a powerful active ingredient, rich in 15 essential minerals. Thanks to its highest minerals diversity, it has proven capacity to reinforce skin defenses against daily aggressions. Creating a formula that remains stable with Vichy Mineralizing Water is a constant challenge for our laboratories, as its high mineral content tends to break down the formulas. At Vichy, we rise to the challenge of incorporating this key active ingredient – 100% natural – into our products. Discover more about Vichy Mineralizing water here. Each day in the heart of Auvergne, far away from any pollution, we extract only the right quantity of water necessary for our daily production – from 15 meters underground. 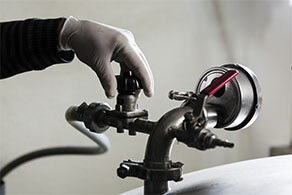 Year-round monitoring is carried out to ensure the purity of the water at its source. Once safely at our factory, each batch of water undergoes a rigorous 6-step control process to ensure all its natural properties remain intact. Before being incorporated into the products, Vichy Mineralizing Water undergoes a final double sterilizing filtration, in order to achieve absolute purity. 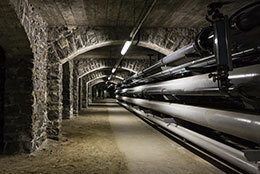 A sample of every batch of Vichy Mineralizing Water is stored for 4 years. Our skincare products have been formulated and manufactured in France since 1931. Staying 4 km away from our source gives us better control over the purity, activeness and safety of the Vichy Mineralizing Water at the heart of our every formula. Going beyond the safety standards, our factory follows strict hygiene practices mirroring those of the pharmaceutical sector. It takes in average 4 days after product production to conduct all the quality controls. We have thus obtained quadruple European certification and compliance for safety, environment, and quality (2 certifications). Each batch of Vichy Mineralizing Water and raw materials used in our products is analyzed in our laboratories and stored for up to 4 years. The final product is also rigorously analyzed, allowing only the best quality production to reach the shelves. In order to respect and preserve the environment, our factory is carbon-neutral and complies with the most stringent certification standards in terms of environmental impact. We have also managed to achieve an average biodegradability rate of 91% for our rinse-off formulas. Find out more about our environmental commitments here. When we select active ingredients, we look for molecules recognized in the medical or pharmaceutical realms, with proven positive effects on skin as evidenced by a battery of tests (in vitro, on reconstructed skin, in vivo tests). Once we have identified the powerful molecule we want to incorporate, we prioritize the one extracted from nature. We screen thousands of actives to find the most performing ones. We introduce our actives of performance at the right dose to reach the benefit targeted. For example, our Hyaluronic acid, a molecule very well known in dermatology and recognized for its moisturizing and plumping properties, is extracted from the wheat by fermentation. 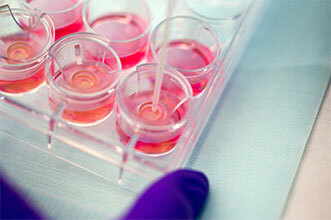 In vitro, tested on reconstructed skin, clinical tests: what does it mean? In vitro test: biological tests conducted on skin cellular culture or other supports to evaluate the biological properties of the actives. 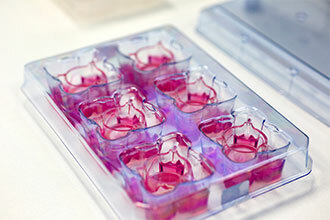 Test on reconstructed skin: since more than 30 years we use reconstructed skin models to reproduce skin structure and optimally imitate the conditions for application of products in order to "predict" certain human physiological reactions. A fabulous tool on which a thousand formulas and hundreds of ingredients are tested every year. To learn about Reconstructed skin: www.episkin.com. Thanks to these new tests and to the knowledge of our Research has accumulated for over a century, it became possible to predict the safety and effectiveness of an ingredient - and the product that contains it - before it has even been created. Once the efficacy and safety has been approved, we conduct test on real voluntaries : the clinical test. The test is done under the supervision of dermatologists or experts on specific visible signs (wrinkles, spots, radiance...). A hypoallergenic product is specifically designed to reduce risk of allergy. To be sure of limiting this risk we set stringent standards for each raw material, and from among the active ingredients available in our catalogue, we select only those that comply with the hypoallergenic charter – including for our fragrances. We thereby considerably restrict the list of raw materials used in our products, formulating with only 25% of ingredients available*. When it comes to find an active ingredient both hypoallergenic and from natural origin, this list drops to 10% of ingredients available. We then performed, on at least 100 subjects, specific protocol on the final formula to evaluate the tolerance. Each year, more than 2000 women per year test the tolerance of our products. After this strict evaluation, if no reaction is observed, the product is certified hypoallergenic, formulated to minimize allergic reactions, the Vichy promise. If not, we reformulate. * Raw materials available in our catalogue. We make sensitive skin our problem, not yours. With the increased prevalence of skin sensitivity, probably partly due to our urban environment, for each of our skincare product we included in our performance and tolerance evaluation tests women declaring having a sensitive skin. Our goal is always to provide the most high-performing products, that respect even the sensitive of skin. Each year, our products are tested on at least 1300 women with sensitive skin. Allergy reaction and sensitive skin are two different issues. At Vichy we take into consideration the 2 issues by developing products that are both hypoallergenic and suitable for sensitive skin. 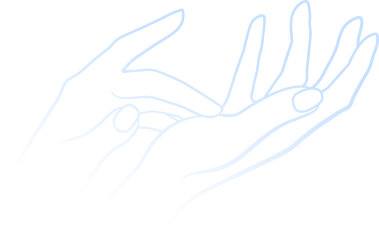 Allergy-prone skin and sensitive skin are different. At Vichy we strongly believe that over and above their usefulness, our products have to offer real moments of pleasure whatever the concerns targeted. The sensations felt during their use must not only contribute to women’s wellbeing but also to the product efficiency they perceive. The sensoriality of each formula are therefore essential elements in making products more pleasant to use every day. This is all the truer when it comes to protecting skin from UV rays or combating imperfections to ensure compliance and enhance quality of life. That’s why we’re committed to creating the most pleasurable textures with hypoallergenic fragrances to encourage consumers to get the best out of their skincare routine, to feel better and stronger. We always make sure that our textures meet women’s needs. That’s why, for each product we develop, we ask at least 100 women to evaluate the texture and give their opinion. Our expertise enables us to combine hypoallergenicity and sensoriality with great fragrance and high performance, to promote regular, comfortable use and wellbeing. To guarantee the great feel of our product during use, our quality experts systematically test the sensorial properties of each batch of final products : aspect, pH, odor, viscosity, stability. Our team of experts includes biologists, engineers, dermatologists, pharmacists and many other professionals, working together to pool their respective know-how and create innovative, efficient, sensorial and safe products. Their dedication and passion are fired by one goal – to always put our consumers first so we offer you products that make your skin lives stronger. That is why at Vichy for when we develop our products, we follow these 7 formulation choices that will make your skin lives stronger. That way, we offer women the best of both worlds: safety for your skin and pleasure for your senses.